3 piece set express train coaches of the Swiss SBB. Epoch IV. 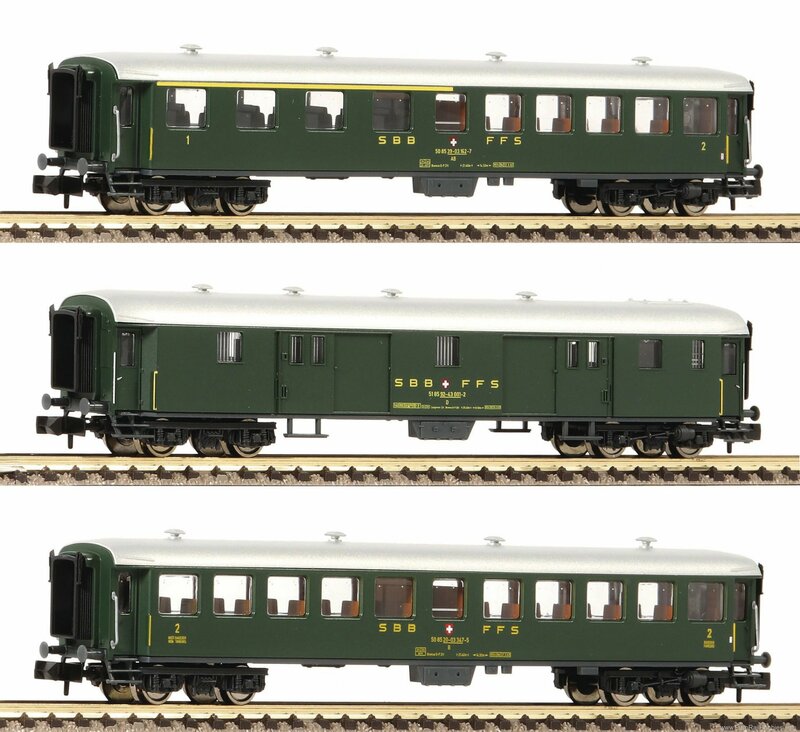 The set contains one baggage wagon, one 1st/2nd class coach and one 2nd class coach. This coach has a different running number than the wagons from the set 881814.